Apple Pay launched in October with high expectations and two core challenges: The limited number of people who can use it by virtue of which iPhone model they own, and the limited number of stores that accept the service. 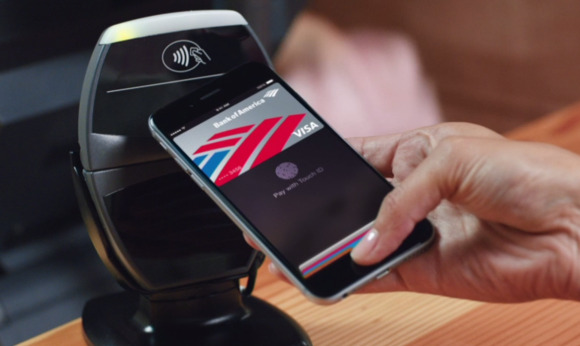 Apple has touted stats like this one: Apple Pay accounts for $2 of every $3 spent using contactless payments. It certainly sounds impressive. But Reuters surveyed 98 of the nation’s top 100 retailers (the remaining two sell online only) to find out just what those companies think of Apple Pay, and whether the service will ever gain widespread acceptance. Less than a quarter of the nation’s largest merchants accept Apple Pay, and two-thirds of the companies surveyed will not support Apple’s mobile payment service this year. Apple is aggressively marketing to these retailers, but support isn’t as widespread as the Cupertino company had hoped. Apple Pay is leaps and bounds ahead of Google Wallet’s slow adoption rate—and Google has since pivoted its Wallet app into a Venmo-style peer-to-peer payment service—but there are a few reasons why retailers aren’t rushing to adopt Apple Pay. Sure, you can use Apple Pay in a McDonald's drive-thru, but that gets old fast. Some of the top 100 merchants are locked into supporting CurrentC, a mobile payment service developed by a coalition of retailers that is expected to launch this year. The terms of that agreement have prevented 19 of the top merchants in the U.S. from signing on to support Apple Pay, because they require exclusive commitment to CurrentC through 2016. Retailers signed on with CurrentC to begin with because the service allows stores to bypass credit card merchant fees while still collecting information about your shopping habits. Unlike Apple Pay, CurrentC doesn’t use Near-Field Communication technology—instead, the service links up to your bank account and generates a barcode that the cashier scans. It’s not as elegant a solution as Apple Pay, but it gives merchants more data about your transactions and saves them money. CurrentC is also integrated with a store’s rewards program, which Apple Pay doesn’t support (though rumor has it Apple is working on that). Twenty-eight of the retailers surveyed by Reuters said the lack of access to customer data in Apple Pay transactions is the reason why they aren’t on board with the service. 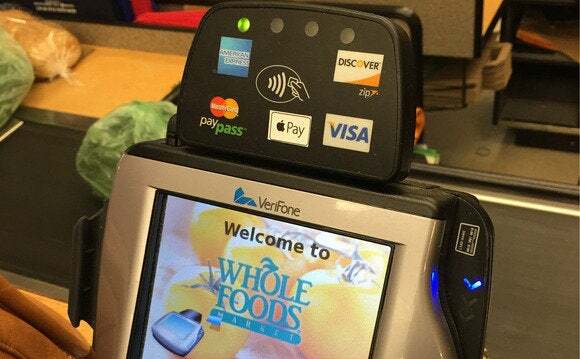 Whole Foods is a huge supporter of Apple Pay, but many grocery chains still don't accept Apple's mobile payment service. Merchants also told Reuters that supporting Apple Pay would require a huge up-front cost to upgrade their payment terminals and back-end systems. Retailers have to replace their terminals by October to support chip-and-pin cards, and those new terminals will typically come equipped with NFC technology, but companies will also have to make some adjustments to their own payment software if it isn’t compatible with mobile payments. But worries over cost might be overblown. “As long as the retailer is upgrading to the new payment terminals, which are enabled with contactless payment technology, there is very little additional cost to accept Apple Pay,” Ian Drysdale, executive vice president of payment processing company Elavon, told Reuters. If a retailer has modern technology in place, a massive upgrade wouldn’t be required to support Apple Pay. An old-school back-end system would be expensive to modernize, but then, a retailer would likely have bigger problems to deal with in that case than mobile payments. People can use Apple Pay at more than 700,000 locations nationwide, and with four of the top 100 retailers reportedly planning to embrace the service in the next year, that number will continue to grow—though perhaps just more slowly than Apple would like.